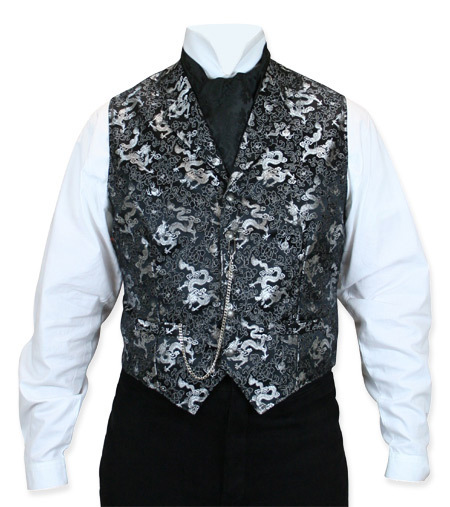 At long last these sinfully beautiful vests are back. No need to sell your soul for good looks. Our perennially popular Hellfire vests have been resurrected by popular demand and are now available in three colors: Black, Red and Silver. 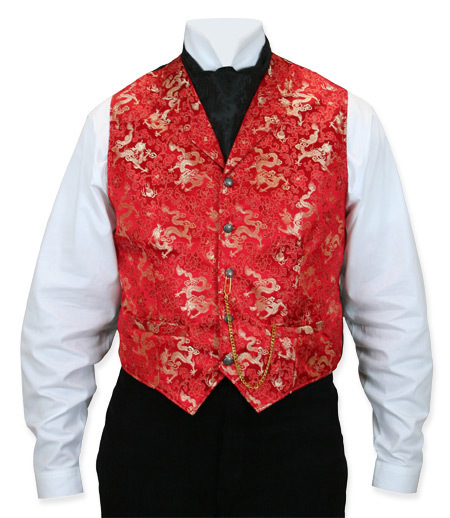 Sure to fire up any drab outfit these silky vests are adorned with period appropriate details making them perfect for any occasion. 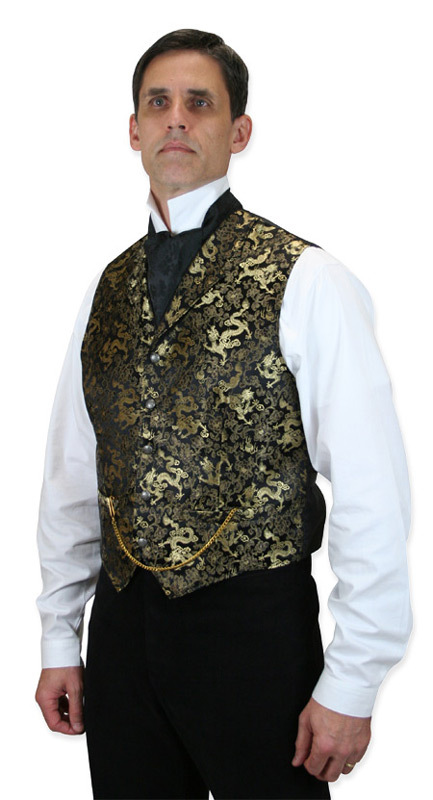 Silk was popular in men’s clothing and was especially used in elaborate court suits during the late 18th and early 19th century. Court suits were heavily embellished with embroidery, jewels and lace. Breeches were required, as well as wigs and high heel shoes. As a friend of the Prince Regent, Beau Brummel brought a more toned down version of male fashion to popularity, the influences of which are still felt today. Eschewing the foppish styles, the Beau advocated more sedate ensembles of a dark frock coat, paired with trousers and tall boots. 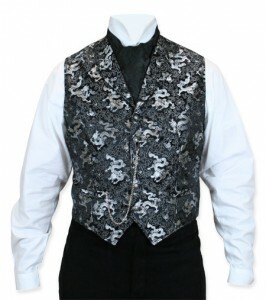 Although his coats were more sedate, he was known for his elaborately tied cravats, which could take hours and many cravats before he achieved his preferred look. This fashion plate from 1844, reflect the Beau’s influence in the cut of the men’s coats and trousers. The gentleman on the right displays his own brightly colored waistcoat and elaborately tied cravat and was clearly the height of fashion.